A beautiful hand drawn personalised print of Wales. 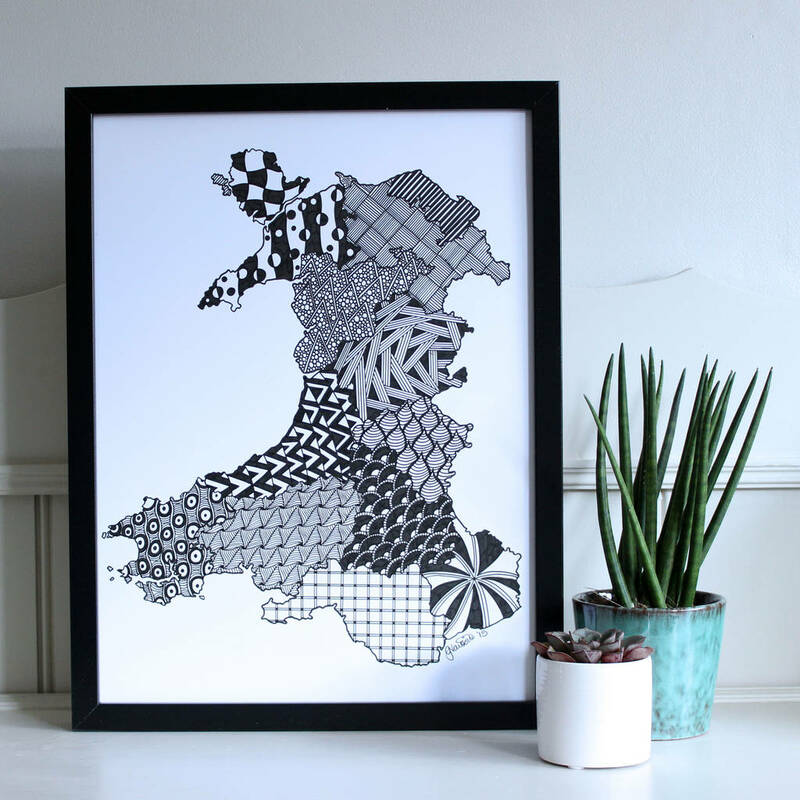 Why not add some extra style to your walls with this gorgeous hand drawn map? 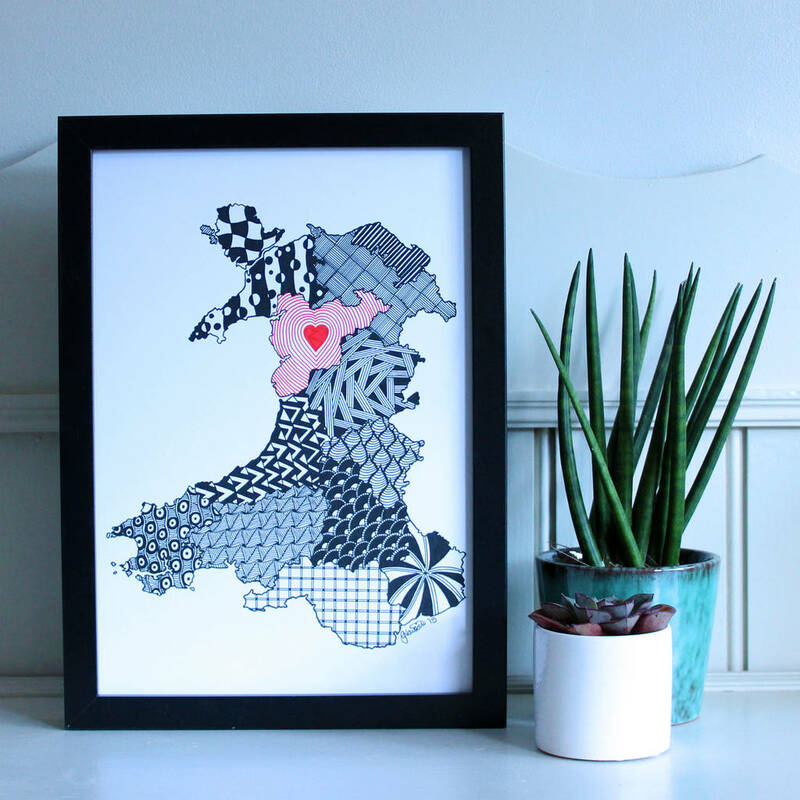 This print can be bought as is or can be personalised to highlight your chosen county or counties. 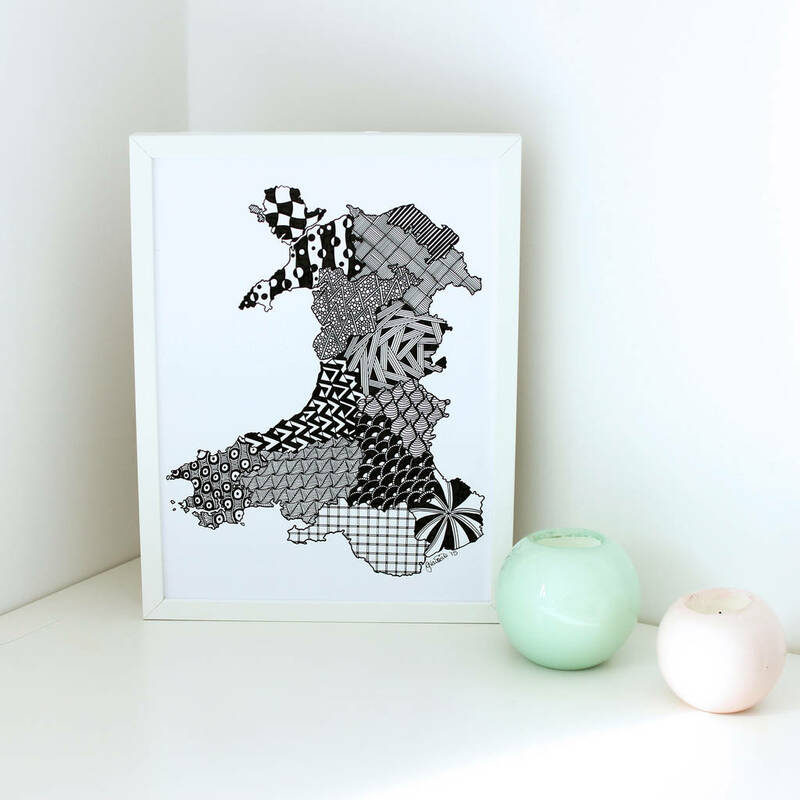 The map can be highlighted in colour to show any number of locations in Wales which depict those special places that mean something to you and your family. Each print will be bespoke to you. Are you living away from home? Highlight your home county to keep a little bit of home with you! Did you go to University in Wales? Why not get yourself a keepsake of that special time at Uni! If you would like more than 3 counties this is absolutely possible. Please select 'Ask The Seller A Question' and this can be arranged. Please note, this print is in black and white. The colour palette refers to the colours of the highlighted counties. 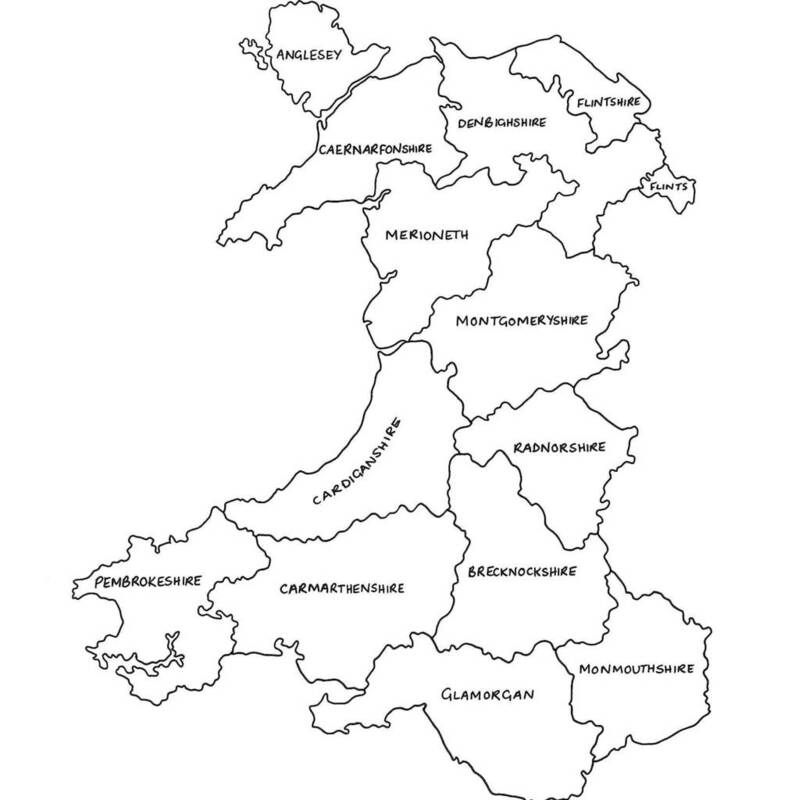 The first highlighted county will be a red heart, the rest will be in your chosen colour palette. Printed onto the finest quality Bristol Board, this bright white, heavy paper is 250gsm. This print is available in two sizes - A4 and A3 - and can be bought framed at an additional cost. 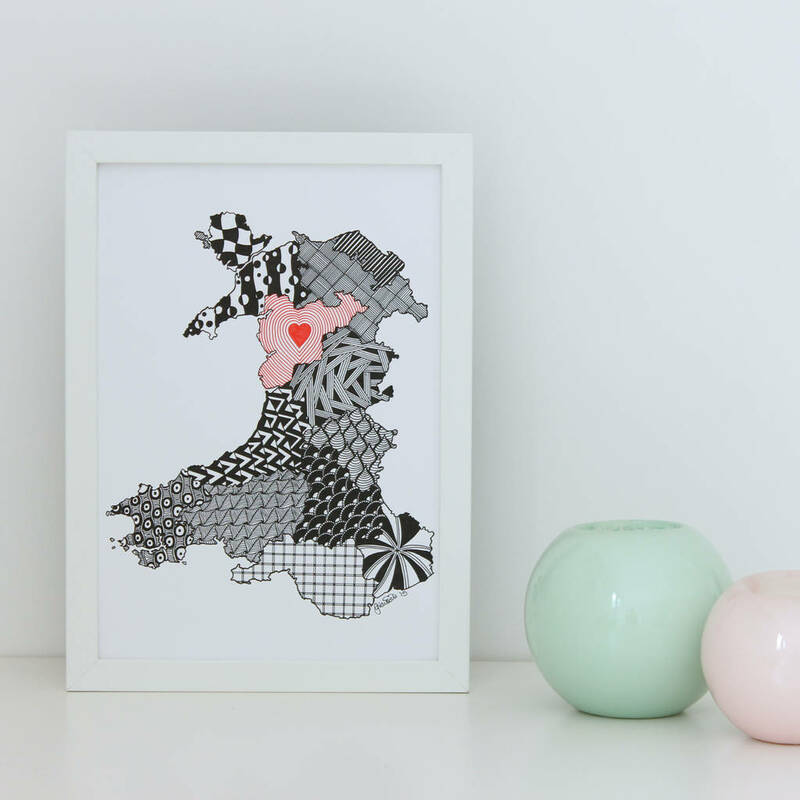 These prints will fit standard frames available on the high street. The A4 prints are sealed in a cellophane bag with coloured card backing and the A3 prints are wrapped in tissue paper and sent in cardboard tube to ensure delivery of your print in perfect condition. This product is dispatched to you by DrawInk Designs.